As the world’s understanding of the problems associated with poor waste management widens, so a movement to curb the situation and limit its effects on both humans and the environment is growing. Countries around the world, including Australia, are feeling the effects of poor waste disposal and management in form of floods, toxicity, poisoning, and death. As such, more and more effort is being invested in the fight to control how wastes from homes and industries are being produced, managed and disposed of. In recent years, the fight has grown to include sectors such as technology, science, and law in a bid to hasten the process of eradicating waste. Every year comes with new ideas aimed at improving waste management, and for the coming seasons, these are the trends to look out for. The idea of municipal recycling in Australia started a few years ago and has grown in leaps and bounds ever since. With improving technology and support from the government, hundreds of recycling plants are being set up to absorb the wastes being diverted from landfills across the country. Major cities across the country are making it mandatory to recycle waste and are investing in sensitization programs to further spread the message of better waste disposal. In the coming years, the value of recycled products is likely to increase as is the scope of recycling around the country. Now more than ever, the concept of proper waste management is being exercised in homes across the country. People are now incorporating compositing and sorting waste before recycling in their daily lives, which is greatly reducing the waste coming out of homes. As the problem of poor waste disposal becomes more pronounced, more Australian cities are using city codes and local ordinances to curb poor waste disposal. There is growing legislation regarding matters concerning environmental protection, most especially the effect of poor waste disposal on natural resources such as wetlands and soil. 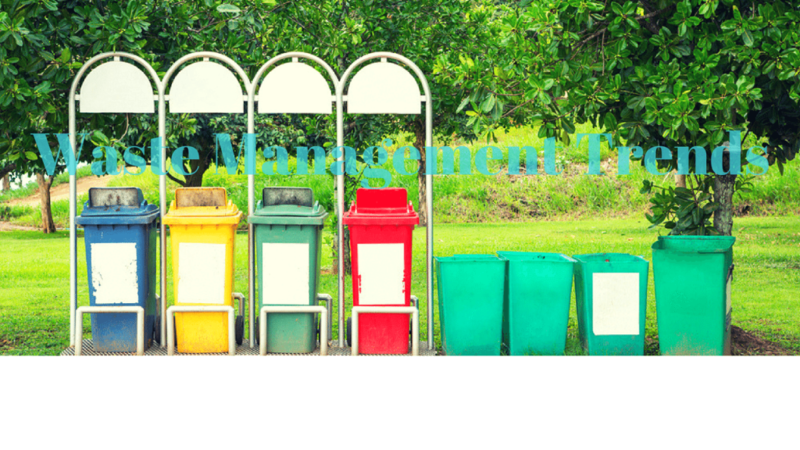 With technological advancements making their way to the public every year, waste management hasn’t been left out. Technology has brought forward innovations such as 360L recycling bins, smart bins that tweet messages when about to fill up, 3 bin organics, and more. In the field of recycling, waste sorting is now being machinated, with industries warming up to the incorporation of machines in sorting the different types of wastes. All these developments are making waste management and disposal much easier to undertake. For some time now, the use of alternative energy in Australian homes has been growing steadily. Following recent discoveries in the fields of science, new ideas show that wastes, especially the organic wastes from homes, are potential sources of energy too. Most of these ideas such as gasification, anaerobic digestion, and composting employ the action of microorganisms (bacteria) in the decomposing organic matter to produce energy that can be used for other activities around the home. There is growing hope that the use of these concepts is going to grow in coming years, and not only for farming communities but also for regular households. When it comes to managing organic waste, Australian cities are picking a leaf from their European counterparts and embarking on management schemes that limit throwing away its sources such as waste food, oils, etc. Restaurant managers are employing better food planning techniques to monitor and control wastage. Cities are setting up donation schemes to control throwing the way of food that’s about to expire and looking to food industries to incorporate recycling and reusing in their daily operations. With new waste management policies and practices taking root across Australian cities, there is going to be a sizeable reduction in the size of city landfills as people send less of their waste to them and look to recycling and reuse. Currently, the country has a minimum of two landfills serving each city, with most having all kinds of unsorted waste. As sentiments on waste disposal change, these landfills are going to be used less and wither in size as a result. With an ever-increasing population of over 34 million people, the amount of waste being generated across Australia is bound to increase. City managers are facing the task of managing waste before it is actually generated. Possible ideas include levying fees on wastes generated per home and charging those that do not sort or recycle their waste. As the fight against poor waste disposal intensifies, such ideas are likely to spread across the country. Due to their use in many industries across the country, wastes from plastics are hard to do away with. And their effect on the environment has been found to be hugely negative, courtesy of being non-biodegradable. With a growing need to create alternatives, biodegradable plastics were born. Though not in wide use in some areas, their usage is expected to pick up in coming years. The trends in waste management are always evolving. New ideas are brought on board while others are phased out almost daily. While it’s true that most of these trends have a big effect on people’s mindset as regards waste disposal, the reality remains that poor waste management is still a huge imposition on us and the environment, and has to be stopped.